Alleppey to Kumarakom, maximum width of the lake or the backwater is almost 14 Km. Major sight-seeing locations such as Kuttanad Backwater , Huge Paddy Field , Pathiramanal Island, R block, H block, all are located between Kumarakom Backwater and Alleppey Backwater. 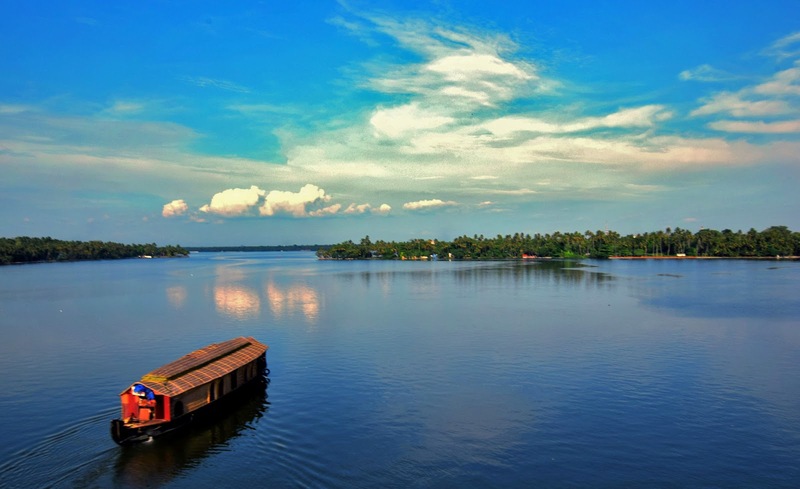 Alleppey-Alleppey round trips, Kumarakom-Kumarakom round trips, Alleppey to Kumarakom or Kumarakom to Alleppey are most popular backwater itineraries being selected by guests for an overnight backwater stay while in houseboats. Kollam or Quilon too offers a lot of backwater tourism with houseboats bookings. Kollam falls under the southern portion of Kerala and the lake Ashtamudi being used to cater the backwater trips. Even, from Kollam to Alleppey, or from Alleppey to Kollam, houseboats are operating with 2 nights stay itinerary during the summer and winter seasons. While on monsoon season this long trip is not being operated. CRUISE TIME ( WITH CHECK-IN AND CHECK-OUT ) :it is common with all backwater houseboats operators that around 11.30 AM , to keep all houseboats ready for check-ins . Guest can check-in sharp 12.00 noon. After serving welcome drink, the backwater cruise starts. 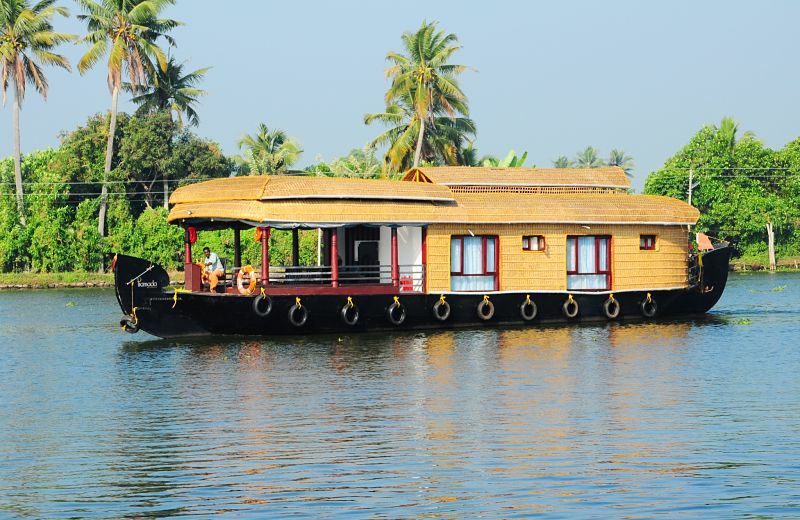 Speeds of the houseboats in backwaters are almost 9 to 11 Km per hour. Around 2.00 pm a short anchoring of the houseboat a midst backwater for 1 hour to serve lunch first to guests and lunch break for staff. Again, backwater cruise starts and conclude around 5.30 pm. After 5.30, as per law, backwater cruise of houseboats are not allowed. Night cruise in backwaters are strictly banned. Guests who check-in at sharp 12.00 noon have the advantage of maximum backwater sightseeing. By sitting in houseboats they enjoy backwater sight-seeing of around 4 to 5 hours on the very first day itself, i.e. covering almost 45 to 50 Km backwater (kindly read terms, conditions and safety norms for more information) . Next morning backwater cruise starts around 8 am and conclude at 9 am for convenient check-out. 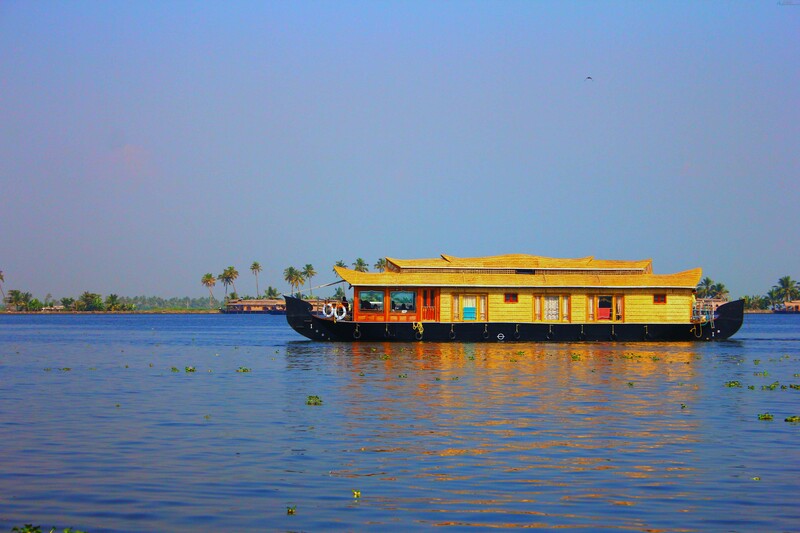 Overall it is 21 hours stay in a houseboat in the backwaters with all meal plans. Guests who do not wish for an overnight stay yet, to enjoy backwater and houseboat ambiance, can always opt for most popular backwater Day-Cruise Trips.